Eight-week summer program in Washington DC for Taiwanese American student leaders. Calling all Taiwanese American young leaders! 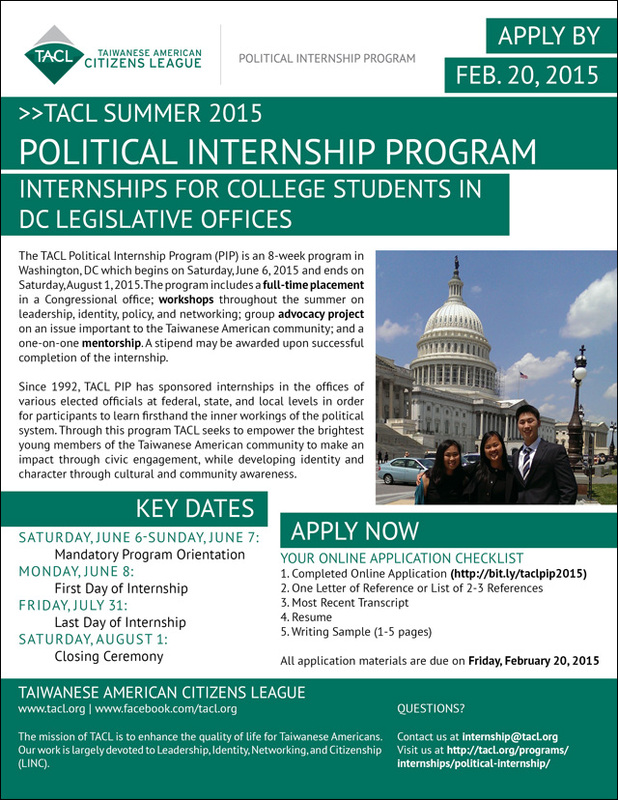 Taiwanese American Citizens League invites you to apply for its 2015 Political Internship Program in Washington DC. Since 1992, the eight-week summer program has placed college students in the offices of elected officials to give them a hands-on experience in the political process. In addition, interns advocate for issues that impact the Taiwanese American and AAPI communities. We are excited to announce that the applications for the Summer 2015 Taiwanese American Citizens League (TACL) Political Internship Program (PIP) are open! Since 1992, the TACL Political Internship Program (PIP) has been TACL's flagship internship program, demonstrating TACL's commitment to civic participation. PIP's mission is to empower the best and brightest students to make an impact in our community through civic engagement. We aim to foster the next generation of leaders and increase Taiwanese American representation in our country's crucial decision-making processes. Internship: Full-time placement in a Congressional office to learn the inner workings of the political process. Workshops: Two-day orientation and sessions throughout the summer on leadership, identity, policy, and networking. Advocacy: Summer-long intern group project and culminating lobby visits on an issue important to the TA community. Mentorship: Meaningful one-on-one relationship with an experienced mentor. 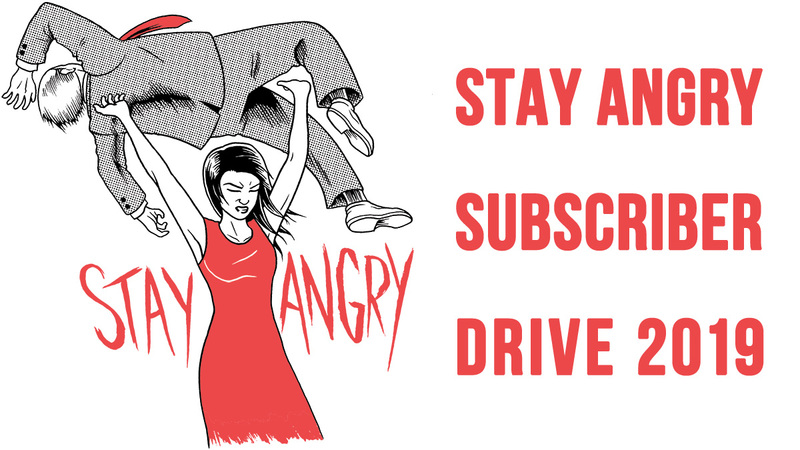 The application deadline is February 20. 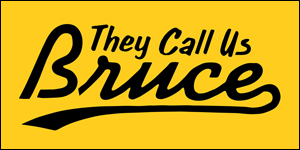 For further information about the internship, visit the TCL website.